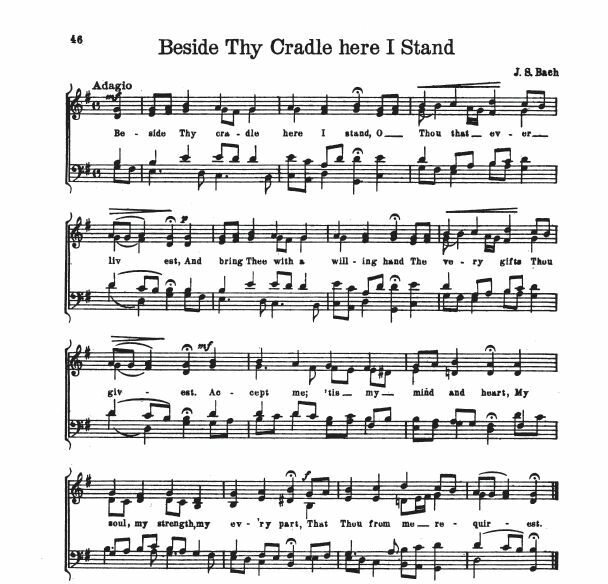 Sheet Music to "Alternate" from Francis James Finn, Father Finn's Carol Book. 60 Christmas Songs and Carols, Old and New. Selected from the Repertory of the Paulist Choristers. (Boston: C. C. Birchard & Company, 1917), p. 46.